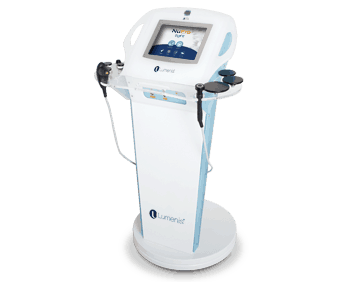 Lumenis Ltd., the world’s largest energy-based medical device company for surgical, aesthetic, and ophthalmic applications, is excited to announce its newest launch, NuEra tight– a non-invasive, intelligent temperature-controlled technology for both superficial and deep heating that treats a variety of conditions such as skin laxity and the appearance of cellulite. Lumenis will be showcasing the newest addition to their portfolio, NuEra tight, through multiple activities at the 2018 Aesthetic Show in Las Vegas from July 6th – 8th, 2018. The FDA cleared, high-power device will be highlighted at two separate booths. Guests will be able to learn about the technology’s ability to target problematic areas around the abdomen, flanks, buttocks, inner and outer thighs, upper arms, elbows, knees, bra and back fat as well as around the eyes, mouth, cheeks and neck thanks to the device’s powerful, temperature-controlled RF technology. NuEra tight uses Automatic Power and Impedance Control (APIC), the next generation of temperature-control technology, to ensure safety and efficacy. The APIC automatically increases the RF power to the target temperature, delivering precise heating to the skin’s surface with predictable results. This powerful RF technology emits at 470kHz and high 250W power to deliver the required amount of heat – precisely and deeply – for optimally effective, comfortable treatment with consistently successful results. During the weekend, Lumenis will have a grand presence at this year’s Aesthetic Show, hosting a symposium where physicians will give an in-depth look at the latest innovations in RF waves. Key topics of focus will include monopolar, bipolar and TriPollar technologies as well as live demonstrations of the NuEra tight and Lumenis’ innovative Legend Pro device. In addition to the RF-Focused symposium, Lumenis will also be hosting two booths on the show floor. The primary booth (#609), will showcase all of Lumenis’ offerings and allow attendees to experience their “3 in 1” super OxyGeneO facials firsthand. The second booth (#628), will spotlight the RF technologies in their portfolio, NuEra tight and Legend Pro.